Does your family LOVE water, but hates the waste of water bottles. 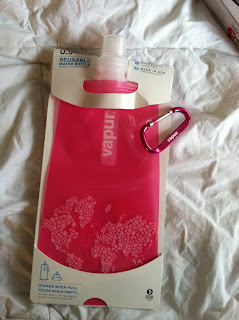 We love bringing water with us on the go, but lugging big bottles of water with us everywhere becomes a pain! Especially for plane travel! Wish there was an easier way? Well there is! 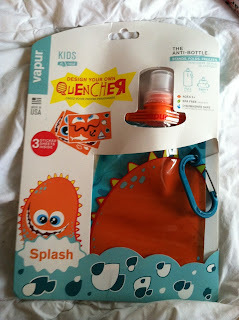 Vapur are water bottles that are fold-able, roll-able, and collapsible, so they easily fit anywhere! When we recently traveled, we simply threw them in our carry-ons and had them with us to fill after security. When we were out an about, we could place them in our backpacks really easily! We LOVE this pink color! It is perfect for both me and my 9 year old! I love the color and the added world map on the bottom. 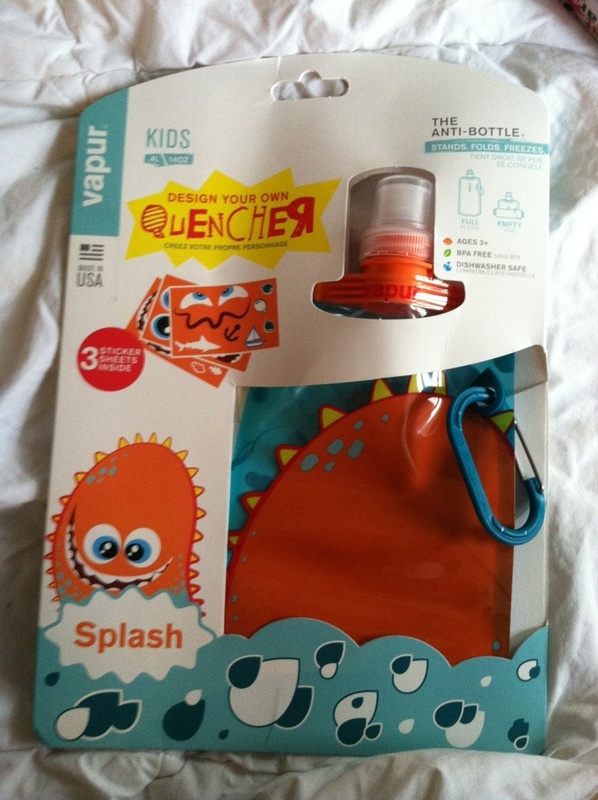 The Splash is PERFECT for kids. It comes with a dinosaur pattern and you can mix and match face details to create your own bag! Oh, and notice how it has a nice clip to easily attach to your belt loop, loop on your back pack, your purse, or your diaper bag! It is the perfect solution for on the go families!